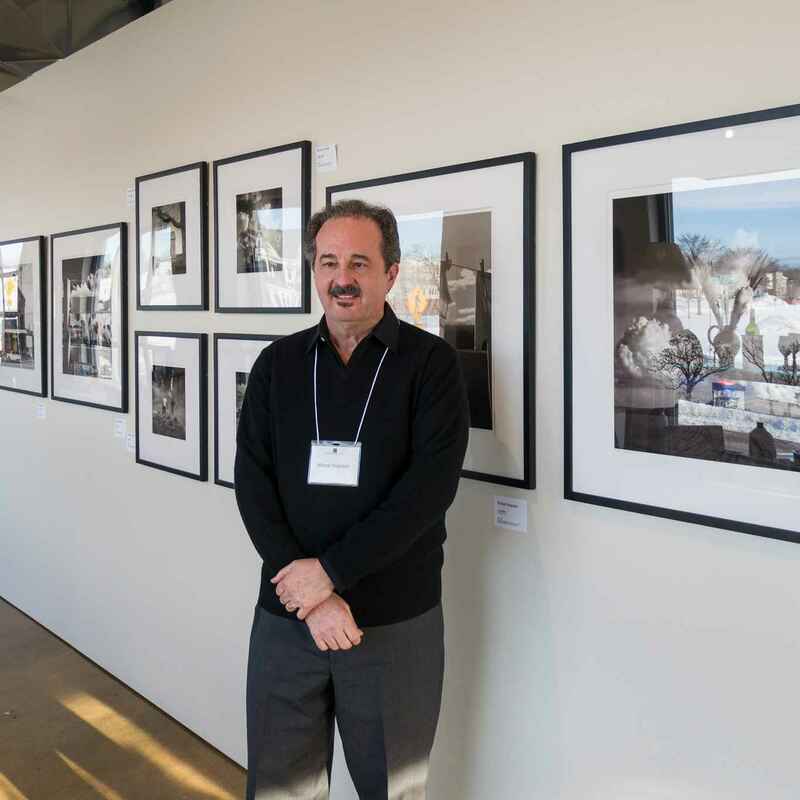 Steven Agard has been creating photographic images for over 50 years. Starting with raw photographs of everyday life, Agard examines the correlation between blurred movement and sharp edges. He also explores changing algorithms to blend images. 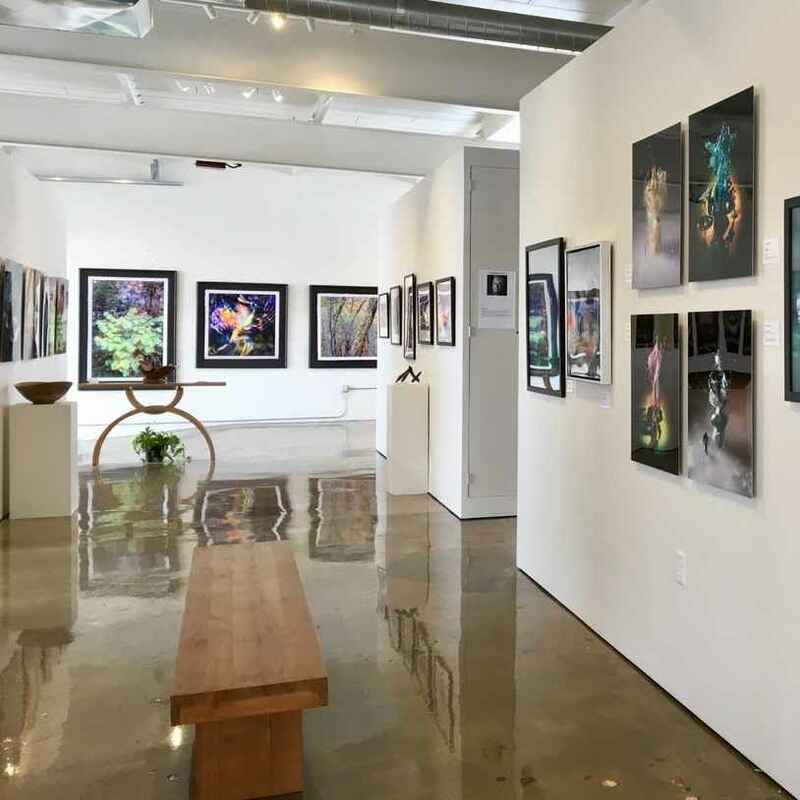 He has exhibited widely throughout the Midwest and has work in private collections and public institutions. Valerie Christell creates photomontages that address the symbiotic relationship between human beings and the environment, and humankind’s introspection concerning that relationship. 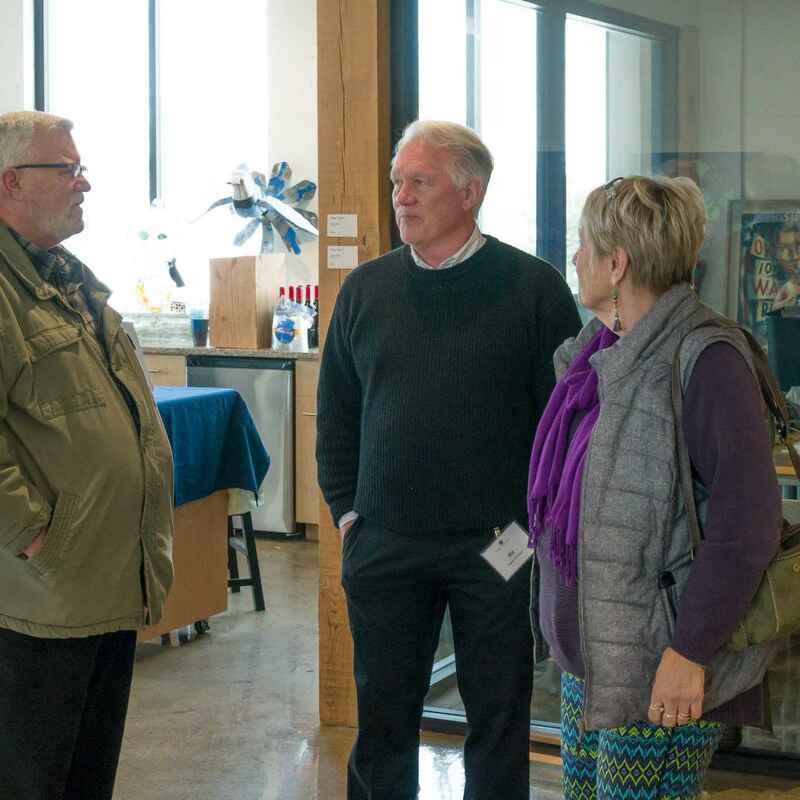 She is a professor of art and gender studies at Alverno College, and has exhibited across the Midwest since the mid-1970s. 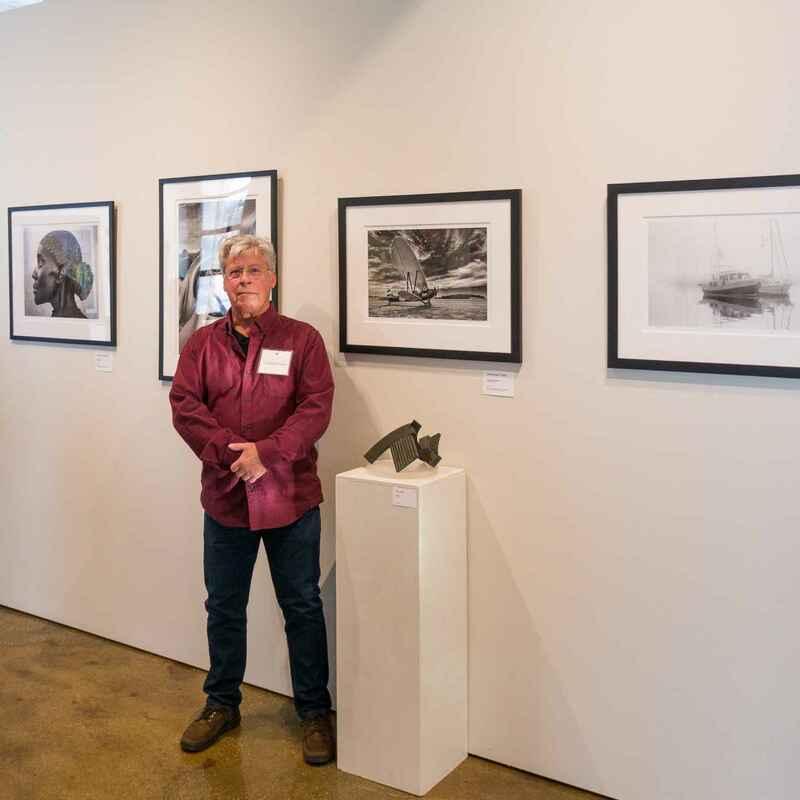 Dennis Darmek will be exhibiting images from his series, The Swimmer: 40 Years in the Water. He has produced photography, documentaries, and video art for over 40 years. His media art has been featured on PBS and exhibited internationally in museums, galleries, and film festivals. 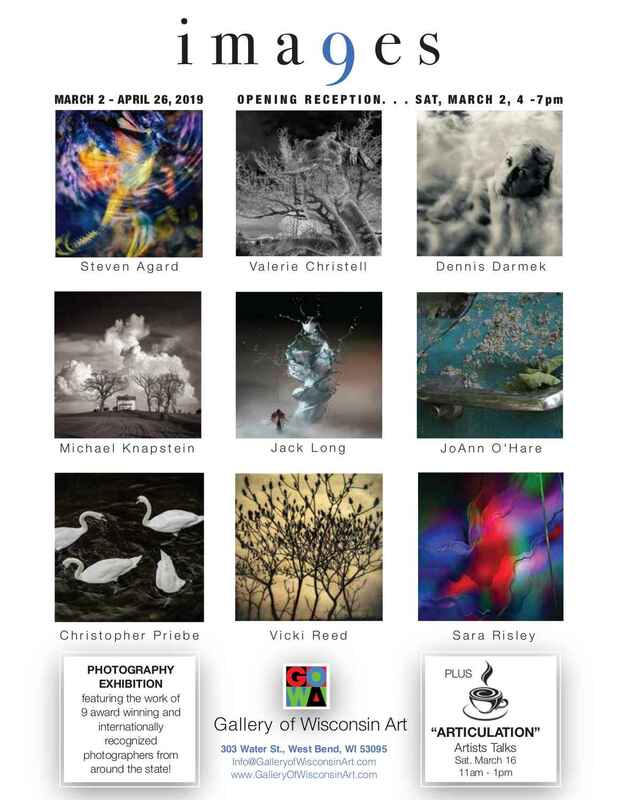 Michael Knapstein is a fine-art photographer who consistently earns international recognition -claiming over 250 awards. Most recently, he was named the International Landscape Photographer of the Year at the 2018 Barcelona Foto Biennale. Knapstein features images from his Midwest Memoir series, showcasing his insightful and nuanced visual exploration of the American Midwest. Jack Long captures the predictably unpredictable movement of liquid within a single flash exposure. He heightens a relatively mundane moment to an exceptional event that showcases vibrant color and frozen movement. 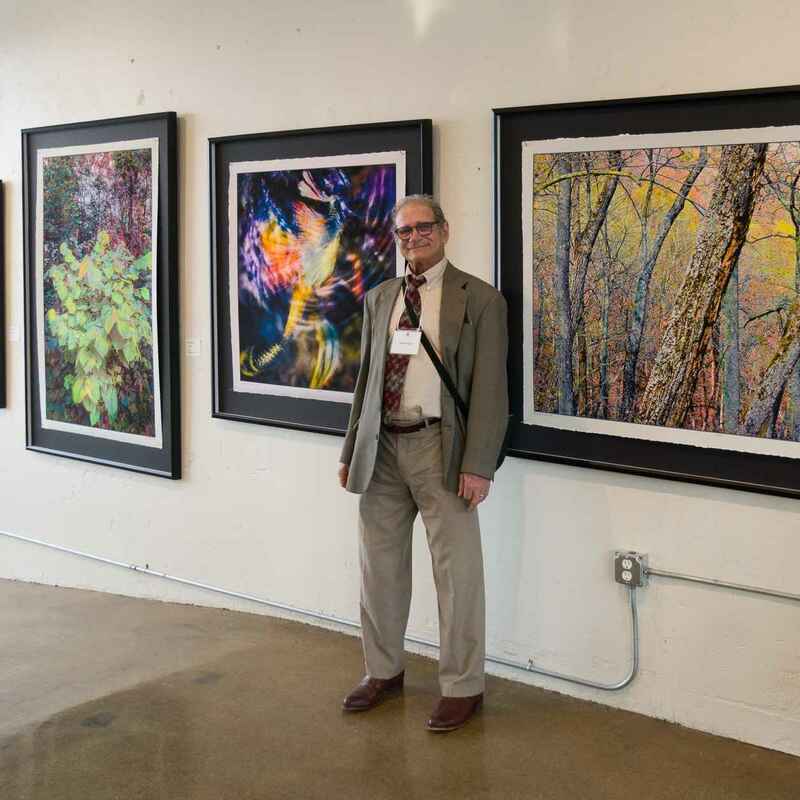 Jack has worked as an advertising photographer for over 35 years, but now earns highest regional and international recognition as a fine artist. JoAnn OHare’s featured series, Auto Abstract, explores the commonplace of old, broken-down, and decayed automobiles. 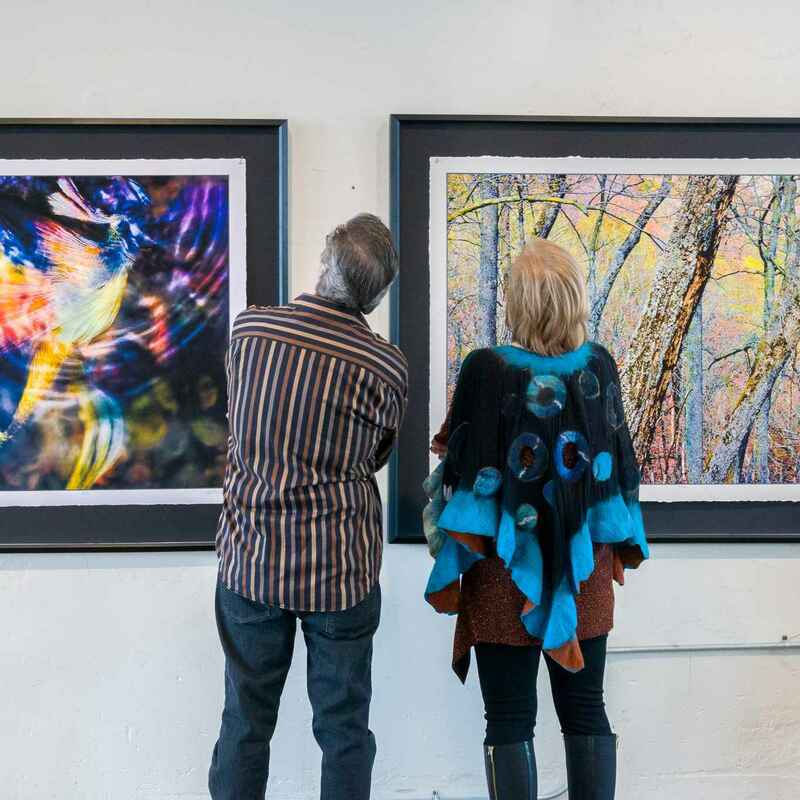 JoAnn has exhibited her fine art photography for almost 20 years with regional and national acclaim, and has instructed photography classes and developed art programs across the state. Christopher Priebe earned his MFA in electronic sculpture and now turns toward black and white fine art photography. In this medium, Priebe strives for a strong inter-play between viewer and pictorial space to capture the air around and inner nobility of his subjects. Vicki Reed uses plastic, vintage, pinhole, and digital cameras to explore nature and her life. Rather than perfectly capturing a subject as she did while working in the photojournalism field, Reed now concentrates on reflecting a deeper mood or feeling. The body of work featured in the exhibition includes a unique technique of hand applied gold leaf on vellum. 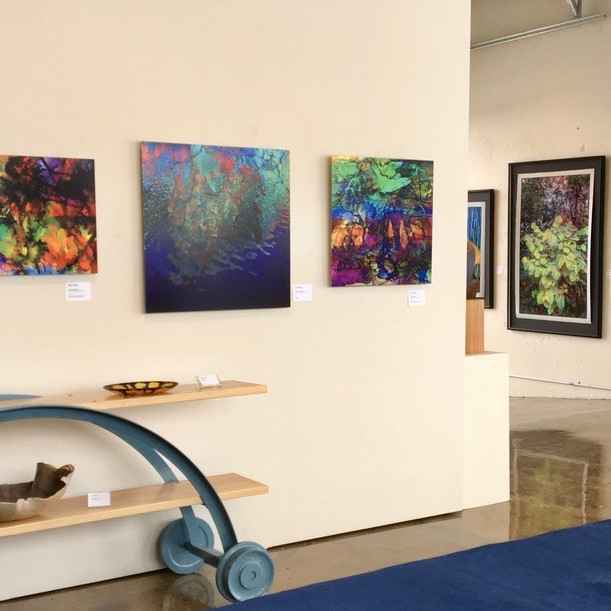 Sara Risley presents non-explicit abstractions of everyday objects such as pavement with intensified layering of imagery and deeply saturated colors. 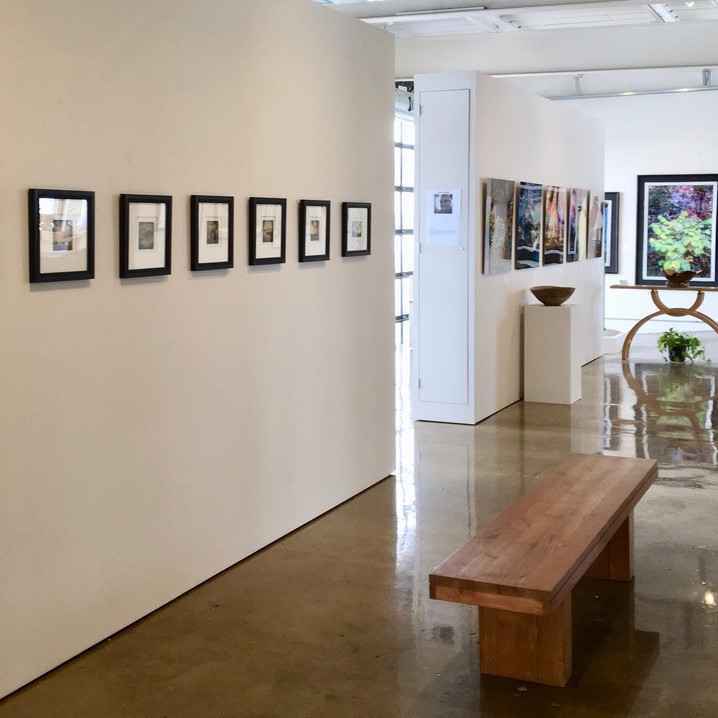 Sara has been exploring photography since the 70s and exhibiting for the past ten years, winning awards nationally and internationally. 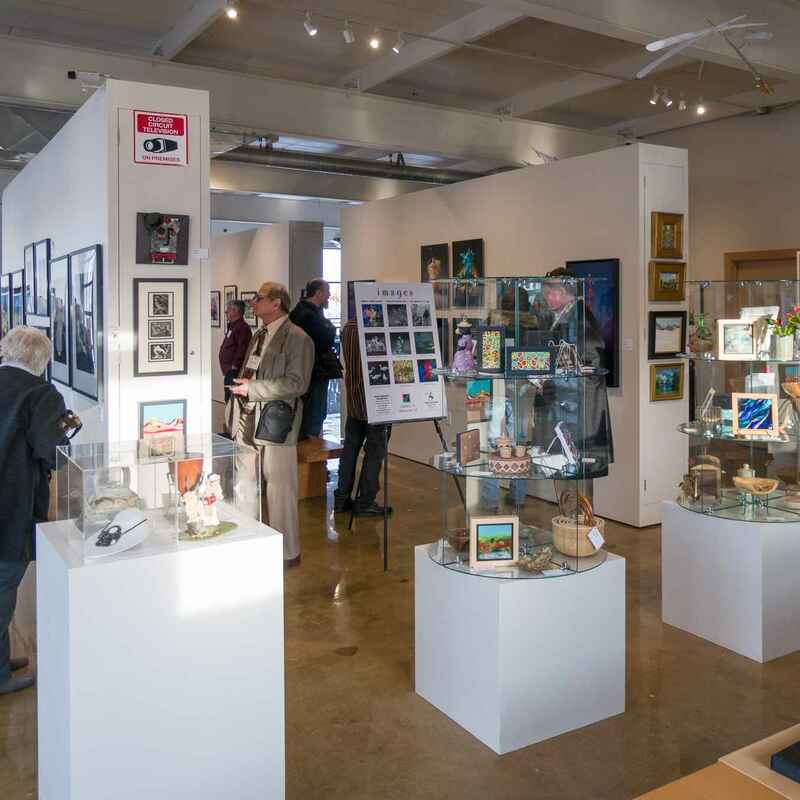 “Images 9” runs simultaneously with GOWA’s “Winter Exhibition” featuring 19 of Wisconsin’s finest painters and mixed media artists.